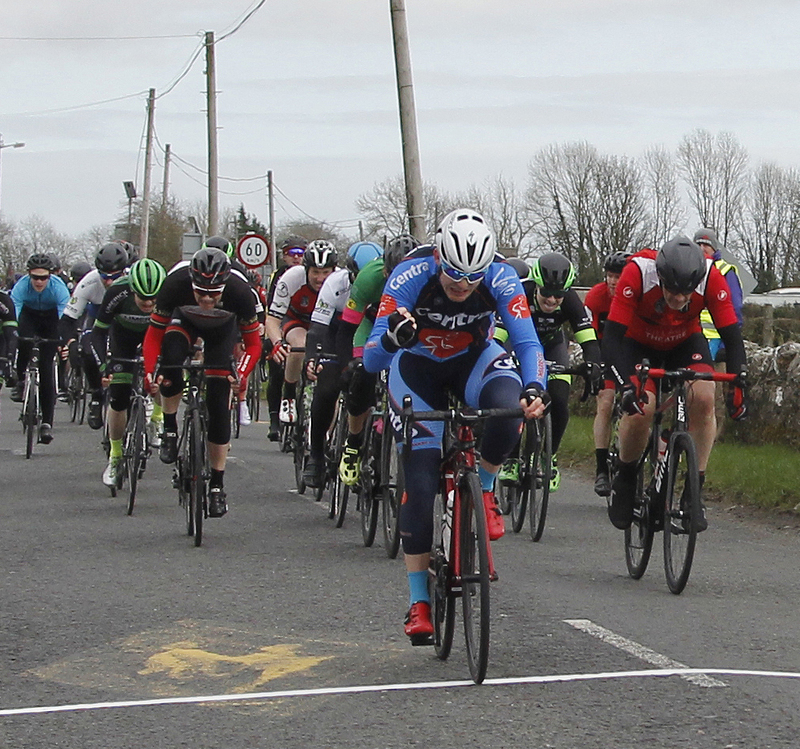 Archie Ryan has opened his account for the 2019 season, the junior rider claiming victory in the North Tipperary Open Road Races this afternoon, riding aggressively to capture the A3-Junior event. 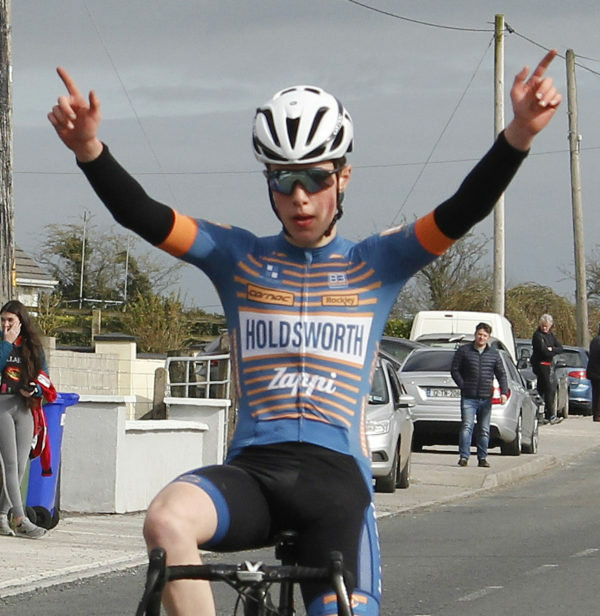 Top Irish junior rider Archie Ryan has taken a strong victory in his first race on home roads this year. The teenager, who has been competing abroad with his UK-based Zappi Racing team, was a solo winner of the A3-Junior event at the North Tipperary Open Races today. 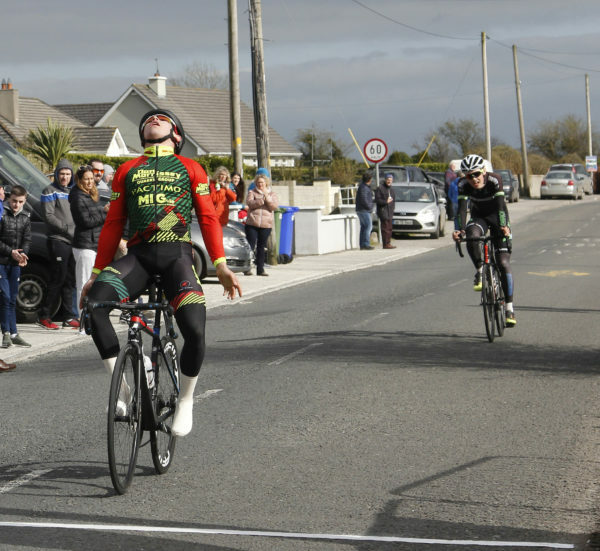 It was his first victory since he sprinted up Tumble Mountain last August to win the queen stage of Junior Tour of Wales. That victory saw him ride his way into the Irish team for the World Road Championships in Innsbruck. And today Ryan showed that kind of form to win. He had apparently missed the boat when a six-man escape group went clear and gained one minute. 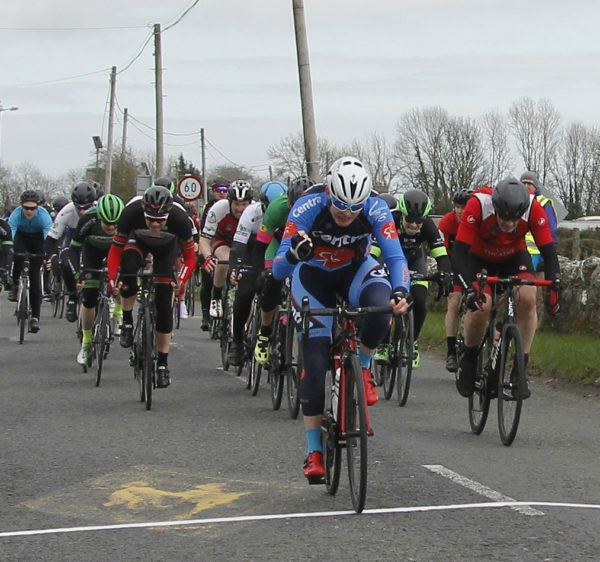 In that group were Jurgen Simpson (Limerick Cycling Club), Stephen Griffin (Tralee Manor West), Martin Casey (Ossary CC), Karl Fogarty (CRNS), Edvins Silovs of North Tipperary Wheelers and Indrek Mannik from Blarney. However, while the gap they gained was not insignificant, Ryan had the legs to ride a text book final 20km. He got clear of the peloton at that point and bridged across to the breakaway. Archie Ryan caught the escape with about 10km remaining. And after spending the next 5km in that group, he attacked it; getting clear to win solo by about 30 seconds. Limerick’s Simpson took the runner-up spot while Fogarty rounded out the podium. 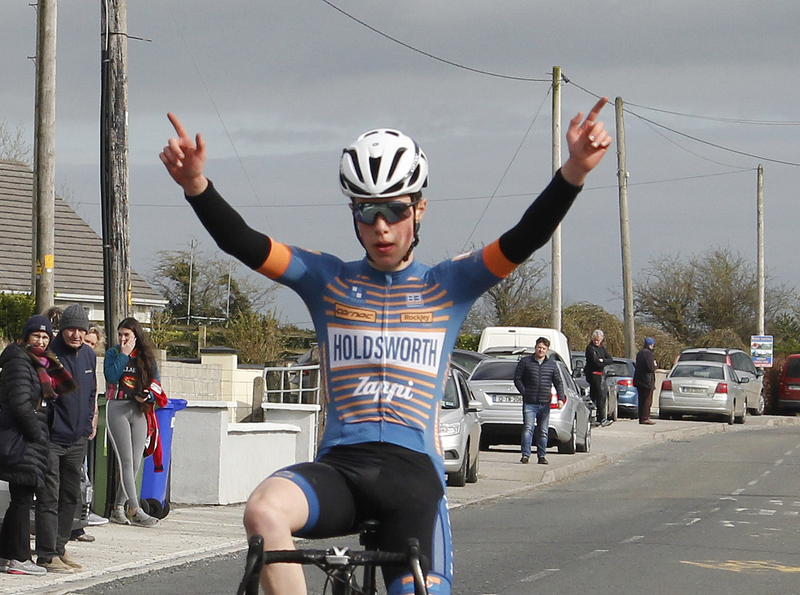 In the main event Conor Hennebry took another victory for Dan Morrissey-MIG-Pactimo, getting the better of Carrick’s Jamie Blanchfield on the line. Keith Gater of Waterford Racing was 3rd. Hennebry takes another win in the main event, getting the better of Carrick’s Jamie Blanchfield. O’Sullivan takes the A4 race from Ling and Crowley.